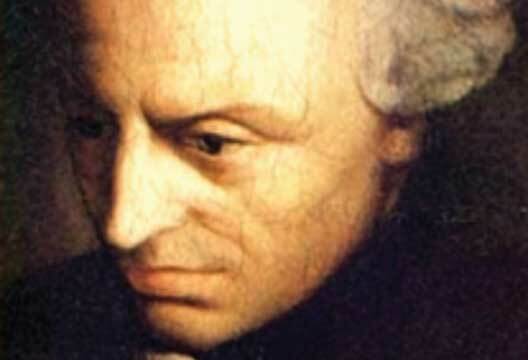 The German philosopher Immanuel Kant (1724–1804) has played an undeniably crucial role in the development of psychology as a discipline, much of which has escaped the attention of modern psychologists. Though almost never stepping outside of his hometown, Königsberg, Germany, Kant’s fame and influence extended throughout the globe and played a pivotal role in the history of human thought. His publications cover topics ranging from consciousness and perception to morality and aesthetics, and his reflections continue to be discussed to this day. Humble son of a harness maker, Immanuel Kant rapidly became an established and famous philosopher. But at age 46 Kant – like many of us! – experienced a crisis. Abandoning his sociable lifestyle he secluded himself and refused to publish or appear in public for the next 11 years. He emerged from his silence with the weighty and difficult Critique of Pure Reason (CPR). Widely recognised as one of the greatest works in the history of philosophy, CPR is also the locus of some of Kant’s most important and sustained reflections on psychology and its problems. Although it is a rich text covering diverse topics, we can draw out two elements from CPR that have been particularly influential for the development of psychology. On the one hand, Kant’s extensive use of psychology to explain his philosophy provided a remarkably rich platform to understand people. On the other, Kant criticised the psychology of his day for being out of touch with human experience, radically challenging the understanding of what an appropriate object of psychological inquiry might be. As we will see, the great thinker’s contributions have not become stale with the centuries, remaining fruitful for psychology even today. How do we gain knowledge of objects? To what extent we can know an object? How do we make sense of our experiences? In general, how do we get to know anything at all? According to traditional psychological and metaphysical thinking, knowledge is a simple reflection or duplication of the external world in the mind. Kant criticised this view, arguing that the mind is not a passive reservoir or mirror for sensory input. Instead, he claimed that any knowledge we obtain is necessarily shaped and structured by the cognitive faculties. Thus in Kant’s so-called ‘Copernican revolution’ of human thought, it is no longer our perceptions that give us a sense of objective reality and the outside world – now, the human mind sets the conditions of possibility of knowing and thus actively constructs our knowledge. To flesh out his revolution, Kant constructed an incredibly detailed account of how the chaotic input of the senses is structured by our cognitive faculties. In the first stage the raw sensory input must pass through what Kant terms intuition, the mental faculty that orders things according to the dimensions of space and time. Kant’s insight that temporal and spatial structures are products of our own cognitive capacities rather than objective properties of the world was, and in many senses still is, a revolutionary idea. Though he insists that they are shared amongst all human beings and are thus universal, Kant’s assertion that time and space are constructions of the human mind makes the core features of our experience a far more subjective matter than many of us would care to admit. After receiving the basic structures of time and space, the sensory input must be further synthesised in our understanding. Kant puts forward a set of basic concepts such as causal and logical relations in our experiences that form the basic precondition for us to receive and understand the temporally and spatially informed data from the intuition. They allow us, for instance, to make connections between separate events as a causal sequence. Thus our experience is shaped both spatio-temporally and logically by our cognitive faculties. But receiving and structuring information from the outside world isn’t all our minds can do. Adding to his complex descriptions of intuition and understanding, Kant describes some other mental faculties that contribute to forming our experience. For instance, judgement acts as a guide to the faculty of understanding, and the imagination provides information to the understanding in the absence of immediate sensation. Finally, according to Kant this diverse set of cognitive faculties are united by a sense of self, which Kant terms the unity of apperception and which we might call an ego. It is this unified state of mind that allows us to make sense of the manifold of sensory data through understanding and judgement, making our very experience of the world possible. Kant’s revolutionary description of our mental faculties as conditions of our experience and knowledge of the world created an understanding of the human mind as both very powerful and at the same time distinctly limited. As the exercise of our cognitive faculties is necessary for us to experience the world, we cannot escape their influence. This means that we can never gain a truly ‘objective’ take on the world outside of our experience: the world for us is always mediated through the structuring forces of intuition and understanding, imposing time and space and conceptual relations on our raw sensory data. This insight even led Kant to divide reality into two domains, the world of ‘appearances’ or ‘phenomena’ and the world of ‘things in themselves’ or ‘noumena’. While the latter is the world outside of the structuring power of our mind, which we will never be able to access, the former is the world we do have access to, the one structured by our mind. So Kant affirms an extreme power for the human mind: the power to actively shape our reality. Such a proposition gave a central role to studying the human mind, not only in Kant’s own philosophy but also in later philosophical and psychological investigations. Most clearly, Kant’s focus on consciousness revolutionised subsequent approaches to psychology, which followed suit in taking consciousness as a primary object of investigation. It is noteworthy to briefly trace a few of the direct and indirect effects of Kant’s writing on various schools of psychology (see, for example, Leary, 1982; Teo, 2006). Gestalt psychology, for instance, found crucial impetus in Kant’s idea of a ‘unity of consciousness’ particularly his elaboration of the importance of a synthesis of the sensory system with cognitive faculties for maintaining meaningful perception of our surroundings. Furthermore, many cognitive development and psychotherapy approaches can be seen to draw on Kant’s conception of mental schemas and categories for understanding the world. Finally, Kant’s theory of autonomy as a source of moral law, elaborated in the Critique of Practical Reason, has had an enduring effect on moral psychology. Recognised by historians of psychology as the cradle of psychology, 18th-century Germany abounded with intellectuals ready to expound on their own psychological insights. Kant may have taken part in this with his new understanding of mental faculties, but he was also a staunch critic of psychology! Kant delegitimised the object of inquiry in the psychology of his day and he reflected on the capacity of psychology to become a science like the natural sciences or mathematics. Kant’s criticism hit the nail on the head – the two massive challenges psychology faced at the time were to define its subject matter as worthy of study and to design a systematic method to study its subject matter (Pickren & Rutherford, 2010). The two major psychological doctrines of the 18th century were empirical and rational psychology, both of which involved attempts to prove the existence of the soul and to understand its nature through experience and rationality (see Leary, 1982; Teo, 2006). Kant dismissed these attempts as futile, arguing that the study of soul is not accessible to human understanding as the soul is not itself an object. Instead, psychology ought to take consciousness as its proper object of inquiry, an inquiry that should be based on investigation of human experiences. Even if psychology takes consciousness as its object of inquiry, however, Kant questioned the possibility that it could be scientific. Natural science and mathematics operate on things that have a spatial dimension and so a spatial representation in the mind. But because the ‘I’ or subjective consciousness has no physical extension in space, Kant claimed, psychology as the study of consciousness will have to be utterly different to the natural and exact sciences. Moreover, observing one’s inner mental process changes the phenomena itself due to the mediation by our introspective act, casting even more doubt on the possibility of a psychological science (Pickren & Rutherford, 2010). Attempts to refute and counteract Kant’s scepticism about the possibility of psychology as a science had a dramatic impact on the emergence of psychology as a scientific enterprise. As historian of psychology Max Dessoir stated, it is ‘an irony of history that despite everything, fundamental progresses in psychology were introduced by [Kant’s] criticism’ (quoted in Teo, 2006, p.42). For instance, Kant’s criticism of psychology was taken up by some psychologists and philosophers (e.g. Johann Herbart and Friedrich Beneke) in attempts to combine empirical psychology with mathematics in order to present it as a scientific discipline (Leary, 1978). Through this and similar movements, Kant’s argument against traditional psychology encouraged psychological inquiry to depend entirely on a posteriori data collection in striving to understand human experiences. Despite these advances, psychology today may still be susceptible to some of Kant’s criticism. Though Kant encourages psychology to explore the laws of experience, he also argues that psychology should be an anthropological, historical, cultural, philosophical and descriptive discipline, not a form of science like natural science or mathematics (Leary, 1978; Pickren & Rutherford, 2010). This is a criticism that resonates well with critical psychology, a recent school of psychology that challenges the lack of epistemological, historical and social-cultural themes in mainstream psychology (Teo, 2006). Finally, situating Kant’s second contribution to psychology within his wider Enlightenment project, Kant offers a perspective from which to see critique not as a negative force but as necessary for any true knowledge. As highlighted in the preface of CPR, Kant presents the use of reason accompanied by a permanent awareness of its rules and limits. Adopting this critical and self-reflexive mode of thinking, researchers can develop better awareness of the mode of reason they use in their research and be more cognisant of its limitations and rules of operation. Thus Kant’s perspective encourages patient labour in employing a distinctly reflexive mode of reason in order to better understand human experiences and its limits in context with regards to our relation to things, to others and to ourselves (Foucault, 1984, p.44). Kant’s contribution to psychology and to human thought in general has been immense and continues to this day. His taxonomy and detailed elaboration of various cognitive faculties helped to transform the psychological vocabulary, while his account of the emergence of the conscious subject, the ‘I’, and his emphasis on its active role in creating knowledge and constructing experience made the human mind a focus of inquiry and proved a resource for later developments in psychology. Moreover, his criticisms of psychology proved critical in reconceiving what is an appropriate object of psychological inquiry and challenged psychology to prove itself as a systematic method of investigation. Kant’s positive and critical contributions to psychology remain relevant even today, and re-engaging with this critical thinker will surely offer new insights for psychology in years to come. Foucault, M. (1984). What is Enlightenment? In P. Rabinow (Ed.) The Foucault reader (pp.32–50). New York: Pantheon. Kant, I. (1998). Critique of Pure Reason (M. Müller & M. Weigelt, Trans.). Penguin: London: Penguin. (Original work published 1781). Leary, D.E. (1978). The philosophical development of the conception of psychology in Germany, 1780–1850. Journal of the History of the Behavioral Sciences, 14(2), 113–121. Leary, D.E. (1982). Immanuel Kant and the development of modern psychology. In W.R. Woodward & M.G. Ash (Eds.) The problematic science: Psychology in nineteenth century thought (pp.17–42). New York: Praeger. Pickren, W. & Rutherford, A. (2010). A history of modern psychology in context. Chichester: Wiley. Teo, T. (2006). The critique of psychology: From Kant to postcolonial theory. New York: Springer Science & Business Media.